COINSASIA started some years ago as a group of fellow collectors and numismatics comparing acquisitions and trades. Our partners are members of both the Macau Numismatic and Hong Kong Numismatic Societies. In order to diversify our holdings and expand our collections, we decided to setup Coinsasia website as a venue to trade many of our quality items. Our primary holdings and offerings are quality Modern Chinese Coins, Macau Coin, Medal and Commemorative sets as well as some worldwide precious metal issues. Our site offers coin collectors and investors a unique chance to buy modern and pre-selected quality items. 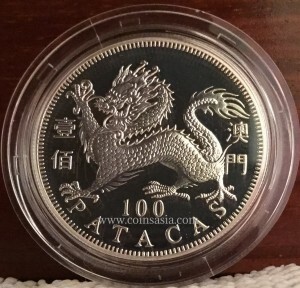 Items listed here on our Coinsasia site are always personally hand selected from coin auctions, shops, coins shows and individual private collections. We invite you to browse through are stock. We advise collectors that we have access to buy modern issues that are sold in limited quantities outside Asia. Please feel free to contact and inquire about any coins, medal or set you are searching for and we are most happy to help you find them. Thank you taking the time to browse through our About Us page and site. *We trade under the ebay id dmscollection and have 100% feedback since 1999. Macau Silver Lunar Series Sets I-II & Colored Series III. Macau Gold Lunar Series Coins. Macau Grande Premio (Grand Prix) Coins & Medals. Macau Anniversary, VIP, and Important Event Commemoratives. Macau Silver, Gold & Platinum Uncirculated Proof Sets. 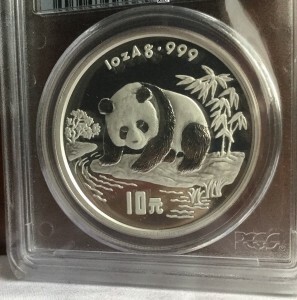 Chinese Silver Panda Denominated Issues. Chinese Gold Panda Denominated Issues. Chinese Silver Panda Medal Issues. Chinese Gold Panda Medal Issues. Chinese Historical Figures Set Pieces. Chinese Traditional Culture Set Pieces. Chinese World Cultural Figures Set Pieces. Chinese Inventions & Discovery Set Pieces. Chinese Olympics Coins & Medals. Chinese Gods & Goddesses Silver & Gold Issues. Tolle Ware. Alles bestens! Gerne wieder, top!Perfekt!! Most excellent coin; super easy transaction! Excellent coin and excellent customer service.